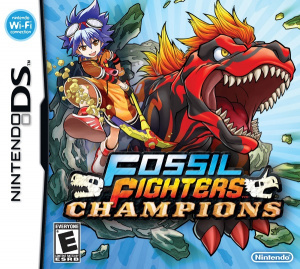 Can Fossil Fighters: Champions Make Cleaning Fun? 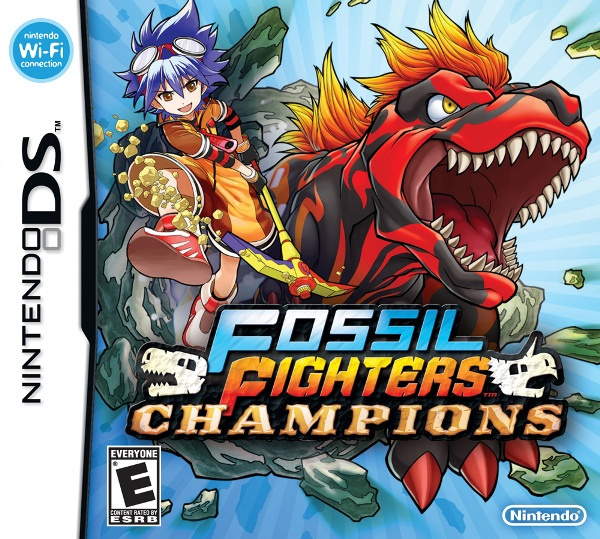 The DS has had more games about cleaning dinosaur fossils than we ever imagined: Dinosaur King, Fossil Fighters and the upcoming Fossil Fighters: Champions to name three. Now, to get you really excited, Nintendo has released a video showing exactly how to clean fossils in its upcoming DS adventure. The trailer below shows how to get your ancient bones sparkling clean without damaging them, letting you raise the strongest vivosaur — not dinosaur — to battle against others. Fossil Fighters: Champions is due out in North America on 14th November. This comes out right after Super Mario 3D Land, and right before Skyward Sword. I don't think my poor wallet can take it. Don't really like the graphics and look of the game in general. I was suprised by how good it actually looks. Similar graphics to DQMJ on the DS. Looks good. It is by Nintendo after all. A new Fossil Fighters:D ! And with Wi-Fi ! I love how the first one required strategy with moving around your vivasours. @Nin-pal If it's like the first one (which it looks like), then it's not just smashing. It requires a lot of precision. "Throw a Cleaning Party with up to Four Friends!" Are they baiting us to mock it? Seriously? Hey, guys, I'm having a Cleaning Party at my place! Your all invited! Who can bring a mop? In all seriousness, this actually looks pretty interesting. Never got to try the original, but, if I have the extra, I may try this one. SUPER Dinosaurs?! Move over, Groudon. I played the original, and it was surprisingly addictive. The fossil cleaning activity really breaks up the RPG gameplay and makes for a unique experience. I have a friend who also enjoyed the original, so I'll probably pick up a couple of copies for some multiplayer action. Did that Dinosaur just come out of a bottle cap? I cannot wait for this! This will be the only game that I will get b4 christmas! @12 You obviously don't know anything about the game XD. c,mon! the first one is e-pic! @NocturnalYoshi youre wrong too. Its a dino medal! Oops. Oh well, I was pretty close. XD I haven't played fossil fighters in awhile, so my memory of some things is a bit fogged. But still, I am really excited for this game! As good as the first one is, this one looks even better!